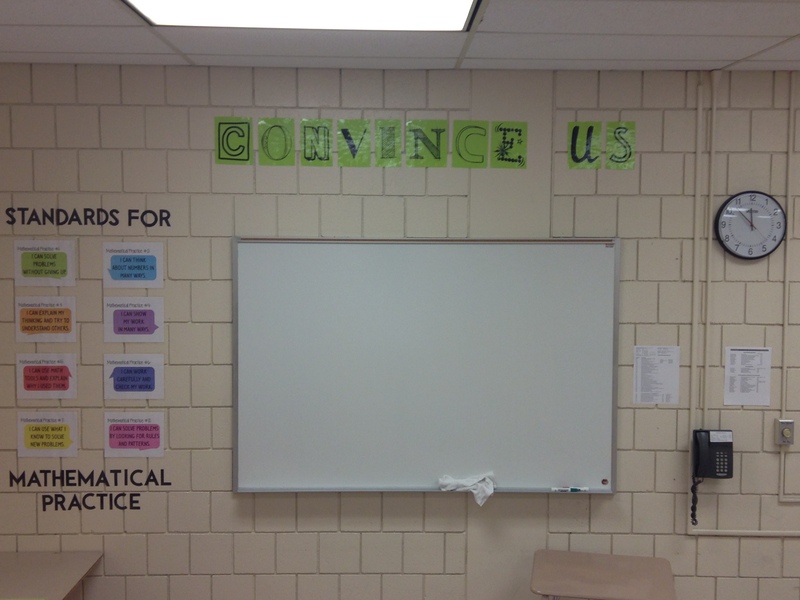 Inspired by Steve Leinwand’s keynote speech at Twitter Math Camp 2014, I made a “Convince Us” poster for my classroom. One of my goals for this year is to have students practice “constructing viable arguments and critiquing the reasoning of others” (SMP #3). I plan on referencing the poster when I want students to say more about a topic and solidify their reasoning. This was my first attempt at downloading and using special fonts! I might be addicted now 🙂 Letters are approximately the same size but paper needs to be trimmed after printing for them to line up correctly.